In Vitro Fertilization: Is It The Last Chance For Women Over 40 To Get Pregnant? Is In Vitro Fertilization (IVF) really the last resort for women over 40 who want to get pregnant? Find out what research has to say, below. More and more couples are opting to undergo IVF (or in vitro fertilization) in order to become parents. In the Philippines, celebrities like Dr. Vicki Belo have chosen this route to conceive her adorable youngest daughter, Scarlet Snow. Because of this, there has been increased interest in the procedure as a possible option for couples struggling to conceive. The National Center of Biotechnology Information reinforces the effectivity and safety of the procedure, noting how it can lead to successful pregnancies. However, there are "cheaper and less invasive" ways, such as ovulation tracking and sperm testing, that many couples favor before trying IVF. In Vitro Fertilization (IVF) was made available in the Philippines in 1995. 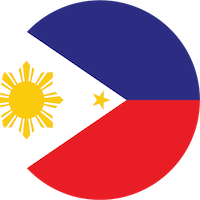 According to IVF Philippines, it is "a method of assisted reproduction in which a man's sperm and a woman's eggs are combined outside of the body in a laboratory dish. One or more fertilized eggs (embryos) may be transferred to the woman's uterus, where they may implant in the uterine lining and develop. Excess embryos may be cryopreserved (frozen) for future use." The procedure was initially intended to treat blocked, damaged, or absent fallopian tubes. Presently, however, it is mainly used to treat infertility, which is caused by conditions such as endometriosis. Although in some cases, a couple's infertility can be unexplained. The entire process can take place anywhere between four to six weeks. A variety of factors can lead to successful pregnancies through IVF. The most crucial of which, explains IVF Philippines, are age, sperm quality, and pre-existing reproductive conditions, like endometriosis or history of ovarian surgery. Depending on each case, there is a 20% to 80% of success through the procedure, but it's best to consult a doctor in order to get a more comprehensive assessment. The cost of the procedure is usually P250,000 to P300,000, but can vary depending on additional costs per institution. Is IVF a woman's last chance to become a mom? Women who have tried numerous fertility treatments, lifestyle changes, medical procedures and alternative medicine, but have not conceived successfully may see IVF as their last chance. However, HRC Fertility shares that this is not always the case, as some women are viewing it as a first line of treatment. Though undergoing IVF can be draining---mentally, emotionally, physically, financially---with little to moderate chance of success, the procedure has steadily increased in popularity in recent years. Though it can be effective, the root cause of infertility should be determined with the help of a physician in order to best deal with infertility. IVF is not the last chance for all women. DNA India shared the story of a 32-year old woman named Priyanka* wanted desperately to become a mom, but nothing seemed to work. She finally decided to go for IVF; she had to undergo the procedure thrice and all three were sadly unsuccessful. However, she eventually managed to get pregnant naturally. Stories like that of Priyanka* suggest that IVF is not the last resort for women, because even if IVF fails, there is still hope to naturally conceive. No two journeys to motherhood are exactly alike, and it's up to women to decide what's best for their bodies and, hopefully, their future babies. Have you experienced IVF? Share your story in the comments below!